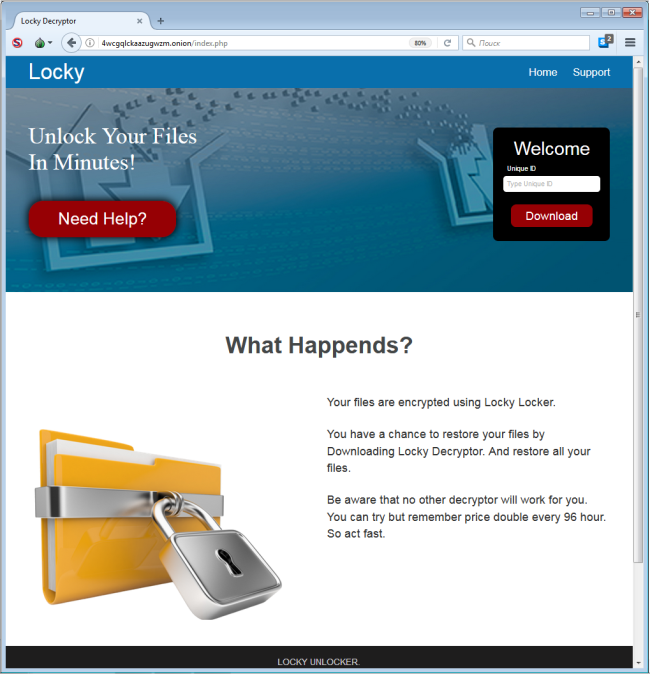 LockyLocker Ransomware is a dangerous virus that encodes user data for blackmail purposes. Hackers use spam emails with malicious attachments to spread LockyLocker Ransomware. 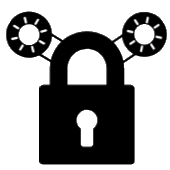 Once it creeps into the system, LockyLocker urgently launches encryption process in stealth mode, the culmination of which will be the loss of data. No, your files are not deleted, but they become unreadable. In case if you have been attacked by LockyLocker Ransomware, there is no need to contact cybercriminals and to make any concessions. Remember, you are up against fraudsters who don’t care about your files and whose the main purpose is to make a profit. Hence, there is a high risk of being left without decryptor and money. Instead, you may try using this guide to remove LockyLocker Ransomware and decrypt .locky files without spending any money. The principle of work of the ransomware is always the same – to encrypt files and then to require payment. LockyLocker Ransomware uses combo 3DES (CBC mode, 16-byte CRNG’d pass) + RSA-2048 algorithms, with each infected file gets .locky extension. For example, file “myfamily.jpg” will turn into “myfamily.jpg.locky”. Once it’s done, ransomware creates LOCKY-README.txt file, where the user may find the demands of criminals to decrypt encrypted files. The text of ransom note is written in 4 languages: English, French, Korean, Italian. Although LockyLocker is a really dangerous virus, you still have a good chance to get them back. Before deciphering, you should first stay focused on removing LockyLocker Ransomware to avoid re-infection. 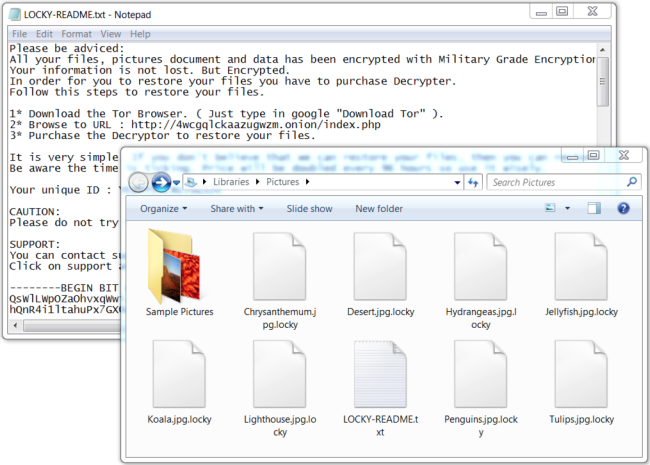 Once LockyLocker Ransomware is removed, you can proceed with decryption. How to remove LockyLocker ransomware? To make sure that the ransomware won’t reappear, you need to delete LockyLocker ransomware completely. For this, you need to remove the files and registry entries of the ransomware. We should warn you that performing some of the steps may require above-average skills, so if you don’t feel experienced enough, you may apply to the automatic removal tool. 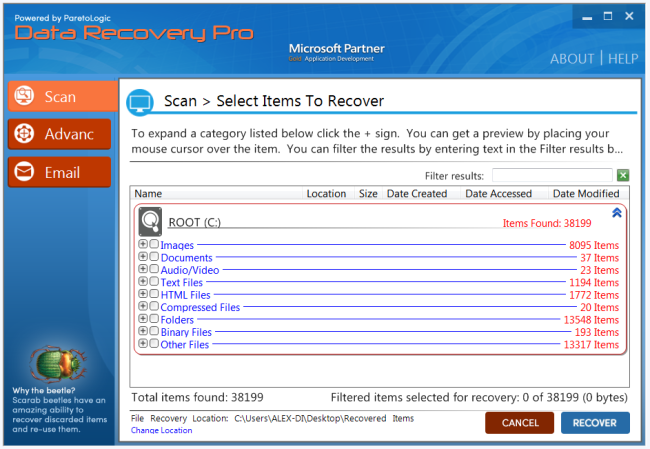 Performing an antimalware scan with WiperSoft Removal Tool would automatically search out and delete all elements related to LockyLocker ransomware. It is not only the easiest way to eliminate LockyLocker ransomware but also the safest and the most assuring one. If the above-mentioned methods didn’t help in eliminating the threat, then it’s better to rely on an automatic way of deleting LockyLocker Ransomware. Bitdefender Total Security is a powerful antimalware software that can quickly detect and remove LockyLocker Ransomware with all vicious components left among system files and registry entries to make sure that it is completely gone. It is capable of protecting not only home computers but also server systems in the large organizations. Another key feature of this program is that Bitdefender Total Security has its own decryption service available for free for clients of Bitdefender Total Security. Moreover, to avoid data loss in case the file system is damaged or infected with ransomware, it regularly creates back-up copies of your files. 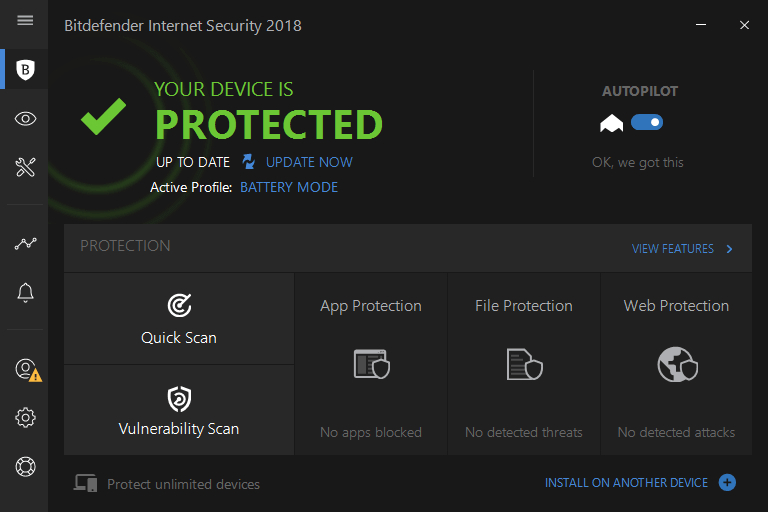 Having Bitdefender Total Security on the computer, you can not be afraid for the safety of your data. Just launch Bitdefender Total Security and it will take care of the rest.